An exposed aggregate driveway is a driveway that you will love, as it features a spectacular surface – a look that can be achieved at a reasonable cost. All you need to install the driveway are decorative aggregate materials and basic finishing tools. If you choose this driveway finish, you will be surprised how quickly and easily it can be installed. The basic process does not take too long and you can drive on it rather quickly. Exposed aggregate driveways in Melbourne are noted for their non-slip finish and their resilience to heavy traffic and weather extremes. You can also choose from one of various aggregate material – materials that are featured in unlimited texture variations and colours. This type of driveway material is extremely versatile and contrasts well with plain concrete as well as other decorative accents, including stencilling, stamping, integral colouring, or staining. Just like concrete products, you do not have to perform much maintenance on a driveway that features an exposed aggregate. You only need to keep it free of debris and make sure to seal every now and then. By taking this approach, your driveway will look good for at least 20 to 30 years. That is why this type of driveway material is preferred by a great many Australian homeowners. In fact exposed aggregate or concrete are recognised driveway materials because of their endurance. Because Australia has varying weather extremes, it is important that residents choose a driveway material that can handle the various assaults the weather makes on properties. This can be easily handled when you choose economical options, such as exposed aggregate or concrete. You simply will not receive the same effect when you choose asphalt. Whilst asphalt is attractive, you need to spend a good deal more time on its maintenance. Plus, asphalt can easily crack. It needs to be treated or sealed more often than an exposed aggregate or concrete, too. Therefore, when it comes to paying out money, your cash will go further if you choose an exposed aggregate. What colour of drive do you want? When you choose an aggregate driveway, you can select from rainbow coloured stones as well as neutral stones that are grey or tan. You can create a driveway that complements the looks of the exterior of you home. Because of the innovations in driveway designs, you do not have to spend a lot of money to obtain a hardwearing driveway that beautifully enhances the looks of your property. If you want to add to your property’s value and kerb appeal, adding an exposed aggregate driveway will help you meet your goals. You have a great deal of latitude in your choice of aggregate materials. Therefore, you can choose the ideal installation for your property’s exterior. Today, hardscaping is just as important as soft-scaping in a landscape’s design. 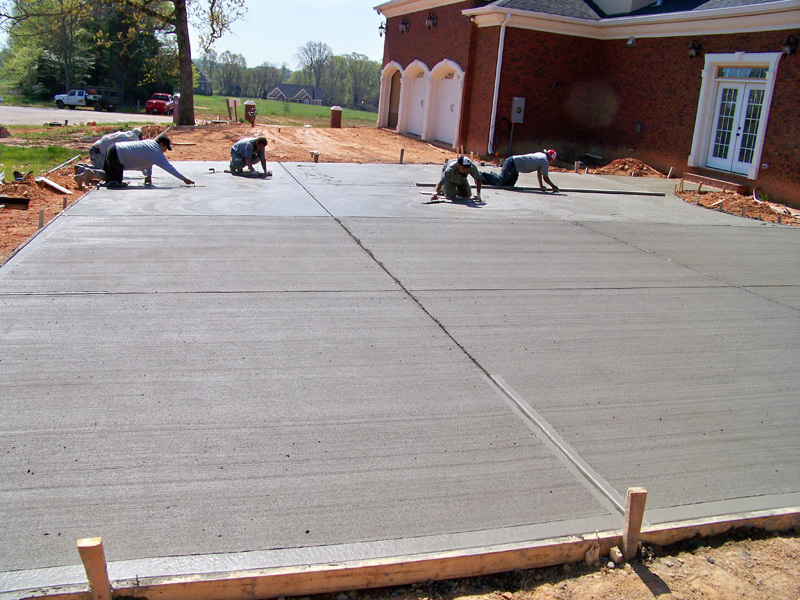 That is why the choice of a driveway material is instrumental in concepts that beautify your home.